The radio program "This American Life" has retracted an Apple-centric episode it aired earlier this year about the working conditions at Foxconn, after it was revealed a critic lied about what he saw when visiting the Chinese facilities. 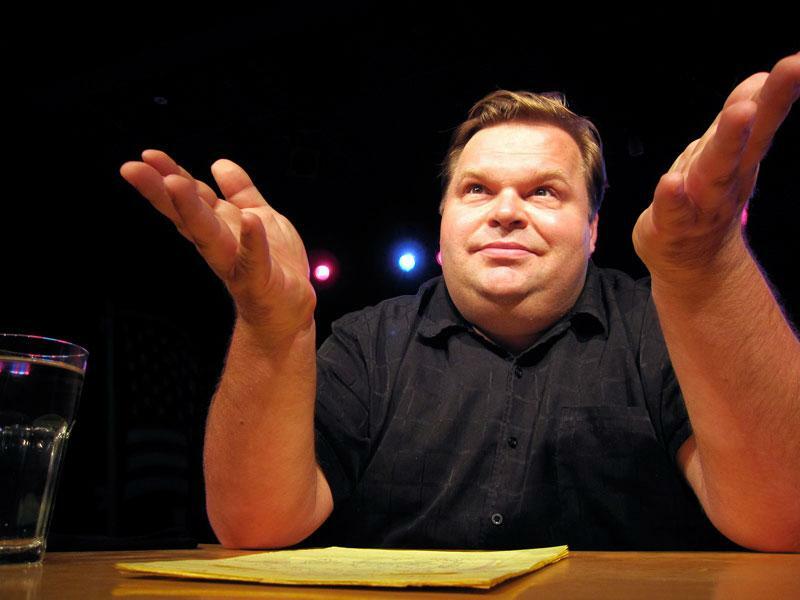 The program aired an episode earlier this year entitled "Mike Daisey and the Apple Factory," which was based on a monologue by performer Mike Daisey. The show admitted on Friday that details from the episode were fabricated, and it has accordingly retracted the episode. Both "This American Life" and American Public Media's "Marketplace" will detail "numerous fabrications" that were stated in the original program. In a statement, it was said that "This American life" cannot vouch for Daisey's claims made in his monologue. When the original 39-minute excerpt was broadcast on This American Life on January 6, 2012, Marketplace China Correspondent Rob Schmitz wondered about its truth," the press release reads. "Marketplace had done a lot of reporting on Foxconn and Apple's supply chain in China in the past, and Schmitz had first-hand knowledge of the issues. "He located and interviewed Daisey's Chinese interpreter Li Guifen (who goes by the name Cathy Lee professionally with westerners). She disputed much of what Daisey has been telling theater audiences since 2010 and much of what he said on the radio. "During fact checking before the broadcast of Daisey's story, This American Life staffers asked Daisey for this interpreter's contact information. Daisey told them her real name was Anna, not Cathy as he says in his monologue, and he said that the cell phone number he had for her didn't work any more. He said he had no way to reach her." The retraction for the program is particularly significant because "Mr. Daisey and the Apple Factory" was the single most popular podcast in the history of the program, garnering 888,000 downloads and 206,000 streams. Following the airing of the program, Appel's partnership with Foxconn came under fire in reports from The New York Times and CNN. The host of "This American Life," Ira Glass, explained the "difficult news" in a post to the site's official blog. He explained that it was not a story that the show commissioned, but rather was an excerpt of Daisey's acclaimed one-man show. "Daisey lied to me and 'This American Life' producer Brian Reed during the fact checking we did on the story, before it was broadcast," Glass wrote. "That doesn't excuse the fact that we never should've put this on the air. In the end, it was our mistake." One of the falsified remarks by Daisey include his claims that he met with a group of workers who were poisoned on an iPhone assembly line. That event did not happen in Shenzhen, China, where Daisey visited, but instead happened nearly a thousand miles away. Daisey's interpreter also disputed two of "the most dramatic moments" in Daisey's monologue: his claims that he met with underage workers, as well as a man with a hand that was mangled while making iPads. "With this week's broadcast, we're letting the audience know that too many of the details about the people he says he met are in dispute for us to stand by the story," Glass said. "I suspect that many things that Mike Daisey claims to have experienced personally did not actually happen, but listeners can judge for themselves." For his part, Daisey has released his own statement on the matter, in which he said he stands by his work as a "theatrical piece whose goal is to create a human connection between our gorgeous devices and the brutal circumstances from which they emerge." "What I do is not journalism," Daisey said. "The tools of the theater are not the same as the tools of journalism. For this reason, I regret that I allowed 'This American Life' to air an excerpt from my monologue. 'This American Life' is essentially a journalistic  not a theatrical  enterprise, and as such it operates under a different set of rules and expectations." Update: A full transcript of the 'Apple exposé Retraction' episode is below. The audio can also be found through the This American Life website.